This company is related to UFX.COM/UFXMarkets/UFXBank. UFX already has an FPA Scam Confirmation. CLICK HERE to read the details. The FPA warns traders to avoid any UFX-related companies. Apr 19, 2017 - No Rating I have opened an account in the company ubinary fraudulent foresight and warn them strongly away from them I lost large sums more than $ 24,000 but with profits reached $ 34,000 because of fraud and will take over all my money I want to sue them in court, but who helps me who guides me will never forgive them and when entered On my account I found a very big disaster I lost all my money and did not keep me but only $ 3. I want to solve my problem What is the solution? Totally Scam Company & Brokers. They know nothing except how to steal innocent people money. I started with $250 and then deposited $1000 into the account. At first, there was one won trading. After that, they accessed my account without my permission and place one trading for the full amount in my account $1500 and ended out of money. They don't answer phones nor any email. If you want to raise a complaint or want any support, no emails from listed ones in their website will answer you-failed. They will ask you to recover your money, but the truth they will swallow that money too. Be careful, they are totally liars and scammers. The two brokers I've dealt with them were Danny Cann & Stephanie Green. Don't ever deal with this company nor send any money for recovery. My advice to everyone is to raise a chargeback through your bank, this will harm them a lot and also complain to companies registery in UK. 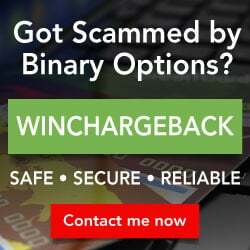 Ubinary will steal your hard earned money! I have deposited $250 with Ubinary on January 5, 2017. I waited for a week or two before trading. When I wanted to trade, I had a balance of $39.04 in my account! No one answers my messages, they are as quiet as the grave. Stay away from them!! I was scamed by ubinary about 1,5 month ago for $3000. They unauthorised withdraw from my bank account $3000. They give me insured first traid and promised that I could withdraw in few days later. Until now my account manager make 2 trades without notice my first. 1st for $1500 which I of course lost. 2nd for $750 lost as well. I have at this time $1200 on my account and not able to withdraw yet as they promised several times. I should see this website before investing in ubinary. 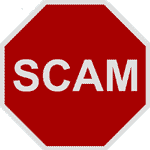 I see many people get scamed and they try to get they money back witch is impossible. But what we can do to get removed ubinary app from Google and Apple so no more people can be scamed? I have emails and skype conversations if required..
2016-03-23 1 Star WWW.UBINARY.COM ALSO KNOWN AS UFX MARKETS OR UFX TRADE ARE A SCAM. THEY SCAMED $88,000 AUD FROM MY CREDIT CARD. MY ACCOUNT HAS BEEN DIACTIVATED AND YOU CANNOT CONTACT ANYONE. THESE WERE ALL TAKED FROM MY CREDIT CARD SO MY BANK IS TRYING TO REJECT THE CHARGES. THEY EVEN TRIED TO GET ME TO WIRE TRANSFER 30000 USD TO A BANK IN BULGARIA!!!! SCAM . DO NOT DEAL WITH THEM THEY ARE A JOKE. THEY SHOULD BE SHUT DOWN. I HAVE REPORTED THEM TO EVERY GOVERMENT BODY I CAN THINK OF. Beware of uBinary. They are a scam company. Opened VIP Insured account with them. After 5 months of trading, my account was deliberately decimated in December 2015. Unable to contact any management or CEO via email or phone. uBinary has created huge customer losses on in-house Account Manager - Managed Accounts, We are unable to contact ANY management by phone, email or chat, Account Managers deliberately losing trades to decimate account balances and unkept promises of Insured Trades on accounts. ESPECIALLY FOR MIDDLE EAST CLIENTS. Deposited 20,000 USD in June and deposited a further 30,000 USD in September giving a total balance of 50,000 USD my account has been completely decimated on the 10/09 leaving $16,650 balance the account manager Dominic Riley did not discuss the account with me and refused to allow withdrawals I have found it impossible to talk to anyone in authority ubinary this must be a scam company. What can I do?